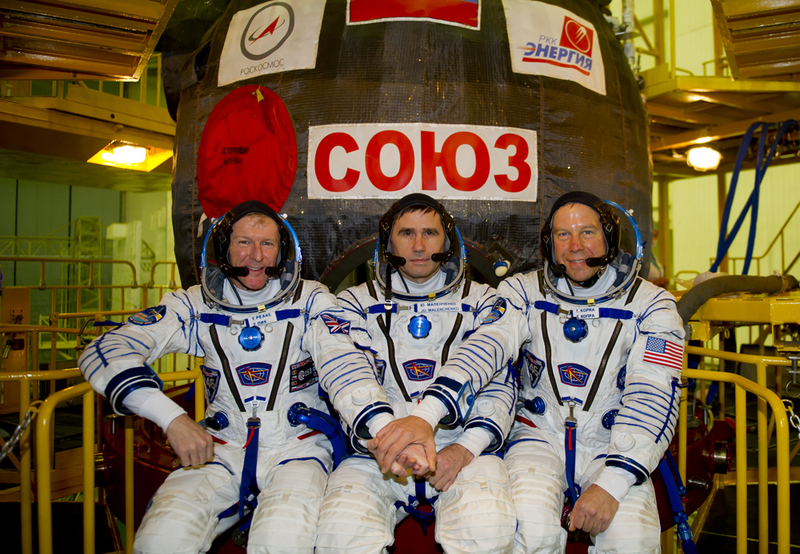 An international trio of crew members began a six-hour out-of-this-world commute on Tuesday, launching atop a Soyuz rocket to begin an express link-up with the International Space Station. 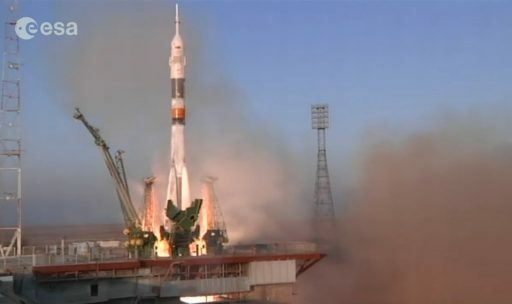 Soyuz TMA-19M with sixth-time space flier Yuri Malenchenko, ISS veteran Tim Kopra and first-time Flight Engineer Tim Peake lifted off on time from its historic launch pad at the Baikonur Cosmodrome and safely delivered the crew to orbit to begin the high-speed pursuit of the Space Station. 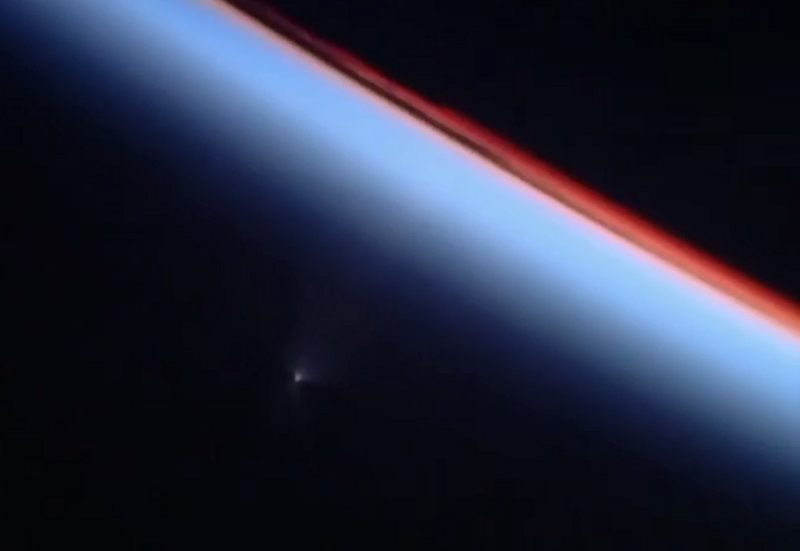 Climbing inside their Soyuz sitting atop 274 metric tons of explosive propellants, the crew was looking forward to a nine-minute climb into orbit after a pre-sunset liftoff. 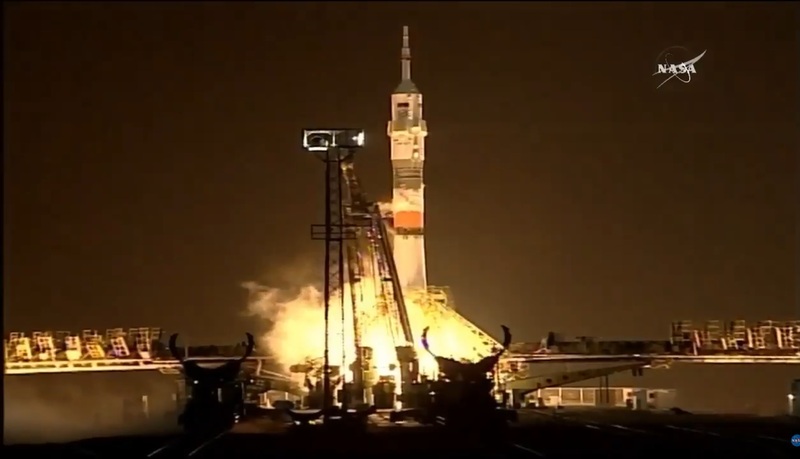 Soyuz ignited its powerful engines and blasted off at 11:03 UTC, swinging to the north-east to chase the International Space Station that directly overflew the launch pad just minutes before liftoff. The Soyuz FG rocket – so far with a perfect record – delivered a flawless performance again, giving the crew a smooth ride into orbit, 200 Kilometers above Earth. Starting out several thousand Kilometers behind ISS, Soyuz will catch up quickly, conducting a series of four engine maneuvers on its first two laps around the planet before initiating a fully automated rendezvous sequence. Inbound for an automated docking maneuver, the Soyuz is eagerly awaited by the three crew members in orbit – Sergei Volkov and one-year crew members Scott Kelly and Mikhail Kornienko who bid farewell to the crew of Soyuz TMA-17M on Friday in a shortened gap in between Soyuz missions. Soyuz TMA-19M is expected to dock with the Space Station at 17:24 UTC to mark the return of Yuri Malenchenko for his fifth mission to ISS, Tim Kopra who has not seen ISS since 2009 and Tim Peake who becomes the first British citizen to fly to space. Their mission as part of Expedition 46/47 has been extended to seven months during which they will support hundreds of experiments, conduct multiple spacewalks, transfer thousands of Kilograms of cargo and see the end of the first-ever one-year Expedition to ISS. 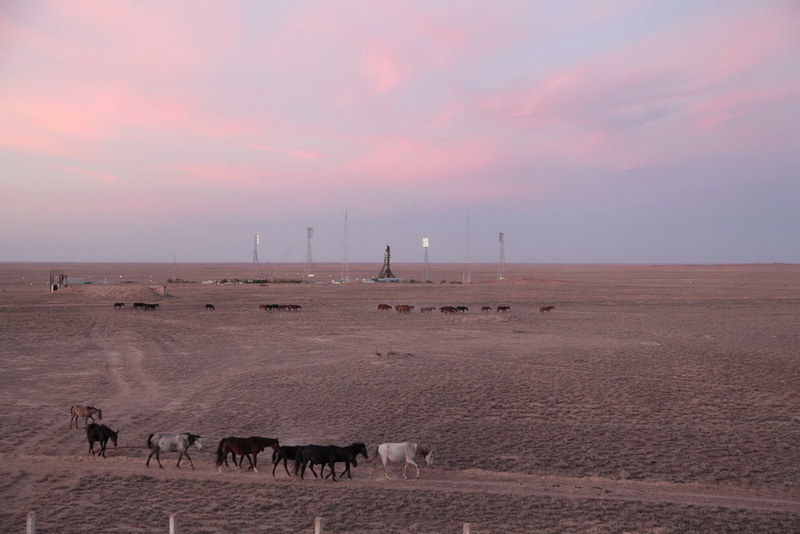 The on-ramp to Space for the crew trio was the Baikonur Cosmodrome, the storied space port that has supported crewed missions for over five decades since the very dawn of human space flight. 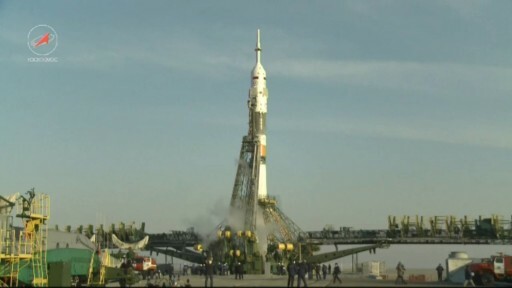 Having trained for years for this day, the crew awoke on their launch day around eight and a half hours before liftoff to complete their final business on Earth at the Cosmonaut Hotel, in particular getting a final shower in the comforts of gravity, having an extended breakfast and going through the tedious microbial sampling and disinfection required to preserve the environment aboard the Space Station. 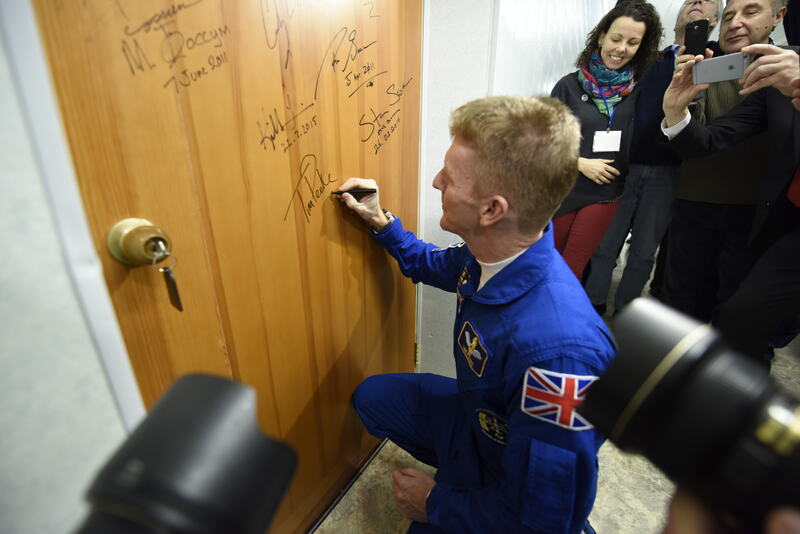 The three crew members signed their hotel room doors and received the traditional blessing as they departed the Cosmonaut Hotel – only two of many traditions observed on launch day, most coming from the early days of human spaceflight. 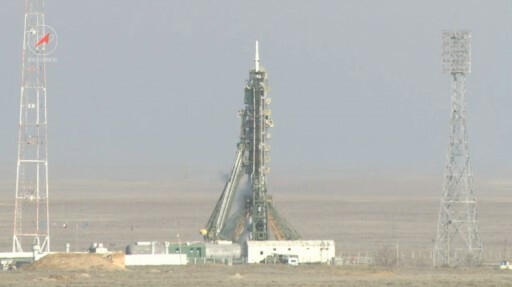 Out at the launch pad – about an hour’s drive from the crew’s hotel – the Soyuz rocket headed into countdown operations at the L-8-hour mark, going through systems activation and entering exhaustive tests. Teams installed batteries on the booster, removed protective covers and prepared the rocket for the tanking sequence. 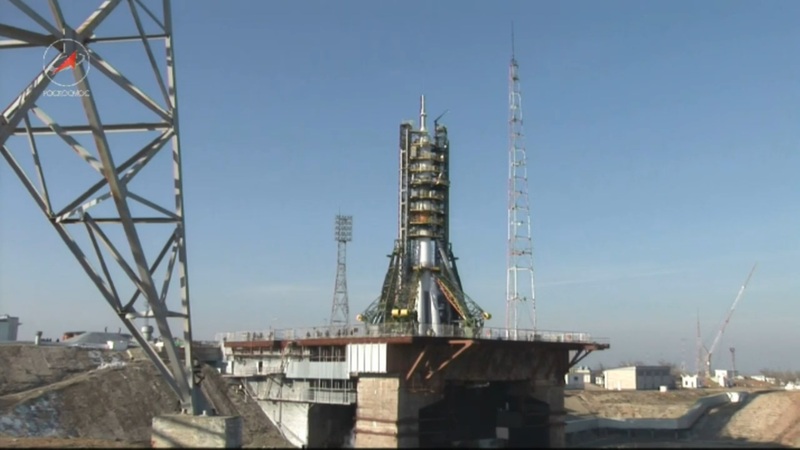 The final meeting of the Russian State Commission cleared the rocket for propellant loading – a two-hour operation that picked up inside L-5 hours to fill the four boosters, the core stage and the Block I third stage with 274,140 Kilograms of supercold Liquid Oxygen and Kerosene. In addition, the boosters and core received 280 and 520 Kilograms of Liquid Nitrogen to act as pressurant in flight. 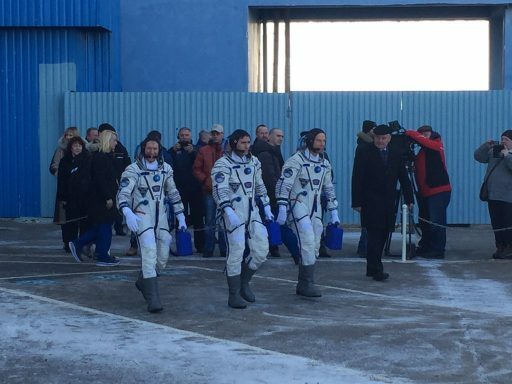 While their rocket was being fueled for liftoff, the crew completed a last medical check and put on their Sokol Launch and Entry Suits at Site 254 of the Cosmodrome. At the press room, the trio was able to have a chat with their families and space agency officials before departing for the launch pad three hours prior to their scheduled launch time. Propellant Loading wrapped up before the crew’s arrival, allowing the tanking cars to be rolled off the pad and the crew bus to pull up right in front of the Soyuz rocket that, by this point, was seemingly alive as gases vented from the various tanks. After greeting those who gathered at the pad, including mission managers from NASA, ESA and Roscosmos, the crew turned towards their ride to space to marvel at their fully-fueled rocket for a moment. 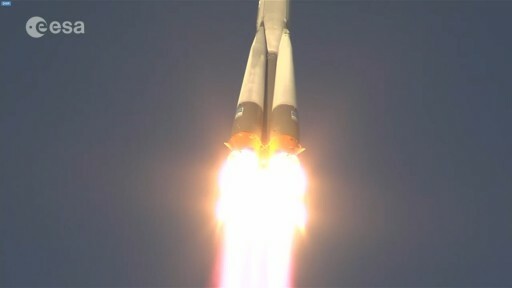 With over 1,800 flights under its belt, looking back at a 50 year career, Soyuz is a world leader in the launch business in terms of flight heritage, a well established success rate and it remains at the top of the launch list consistently every year, flying more missions than any other launcher. Building on heritage of the original R7 ICBM developed in the 1950s and 60s, Soyuz FG stands 49.5 meters tall and spans ten meters from booster fin to booster fin. 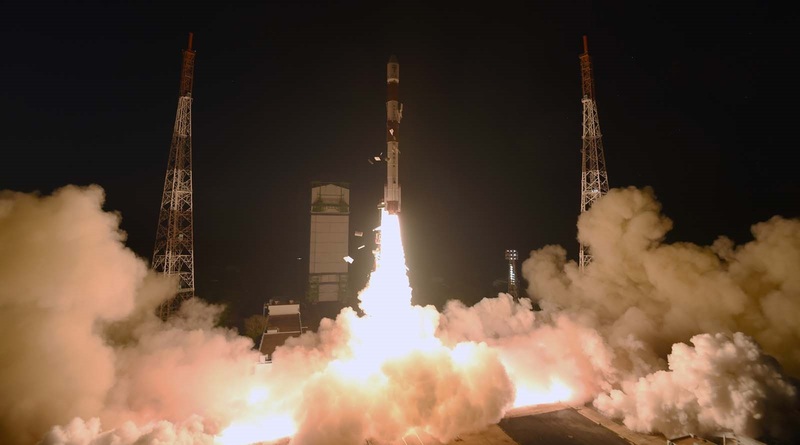 It has a total launch mass of 305,000 Kilograms and can loft the 7,200-Kilogram Soyuz into orbit with ease. The Soyuz FG uses the familiar design consisting of a large core stage with four liquid-fueled boosters clustered around it and a third stage sitting atop with Soyuz stacked on top of that, protected by its launch shroud. Betting on old, but proven technology, Soyuz uses a Block A Core Stage standing 27.8 meters tall and 2.95 meters in diameter, loaded with 91 metric tons of propellant burned by a four-chamber RD-108A engine and four vernier jets for steering to deliver a sea level thrust of 792 Kilonewtons. Clustered around the core, each of the 19.6-meter long boosters holds 39,600kg of propellant fed to a 838.5kN RD-107A engine also sporting four chambers. Atop the stack, the Block I upper stage, measures 6.74 meters in length and 2.66m in diameter and its 297kN RD-0110 engine burns through 22,890kg of fuel. Waving good bye, the two Tims and their experienced commander boarded the elevator taking them up to their Soyuz and, one by one, climbed into the Orbital Module and down into the Entry Module to get strapped into their seats. Yuri Malenchenko, sitting in the center, was getting ready for his sixth flight into space, the fifth using the Russian Soyuz. He can look back at a visit to the Mir space station, a flight on the U.S. Space Shuttle and three ISS Expeditions, logging 641 days in space. 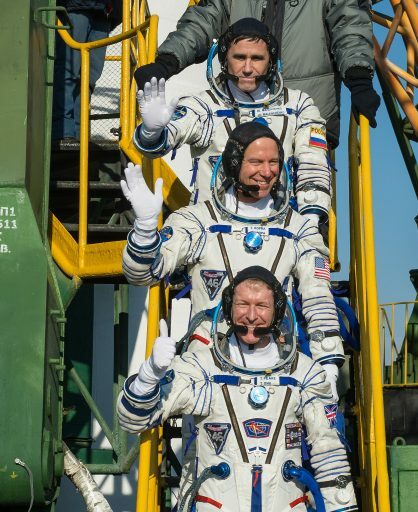 After Expedition 46/47, he will have passed the 800-day mark and enter second place on the all-time list of cumulative time spent in space, behind Cosmonaut colleague Gennady Padalka who, earlier this year, set the new record. Boarding the right seat, Tim Kopra was looking forward to his return to ISS after over six years. He spent 58 days in space as part of his first flight in 2009, launching and landing aboard the Space Shuttle and working as part of one leg of Expedition 20. 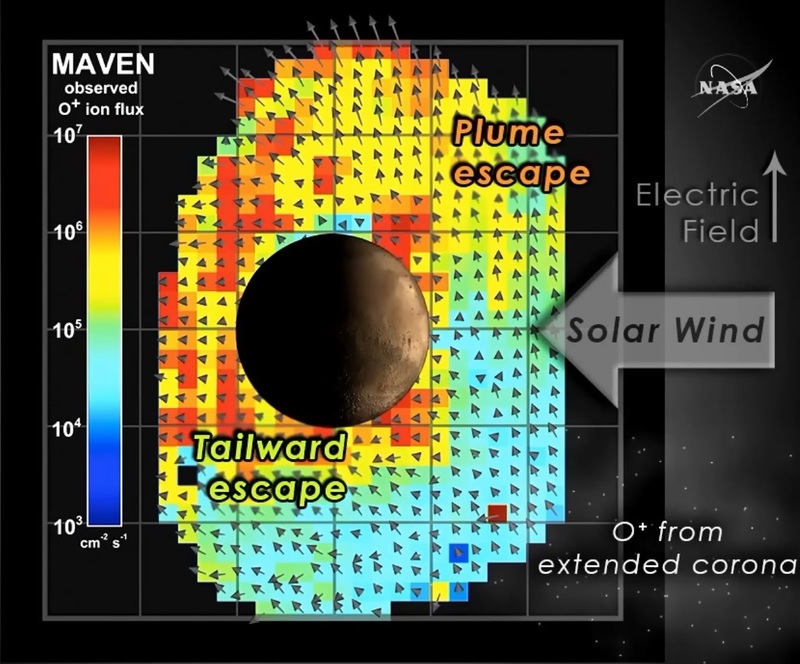 He, like his two crewmates, comes from a background in aviation prior to his selection by NASA in 2000. 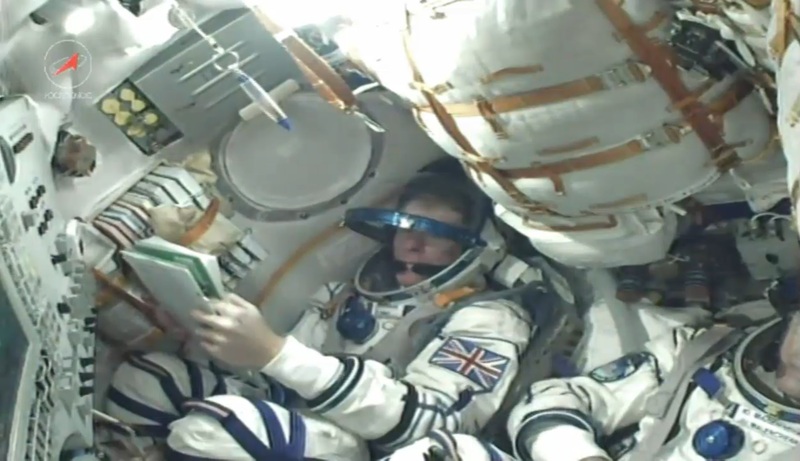 In the right seat, Tim Peake was gearing up for his first space flight after being selected by the European Space Agency in 2009. On this flight, he becomes the first British Citizen to fly to space not counting those who flew under dual citizenship or under a private program. He can look back at an accomplished career as a test pilot and instructor, having flown over 30 different aircraft. Once in their seats, the crew got settled in while technicians closed the internal Soyuz hatch and the Orbital Module side hatch to clear the way for a series of mandatory leak checks. 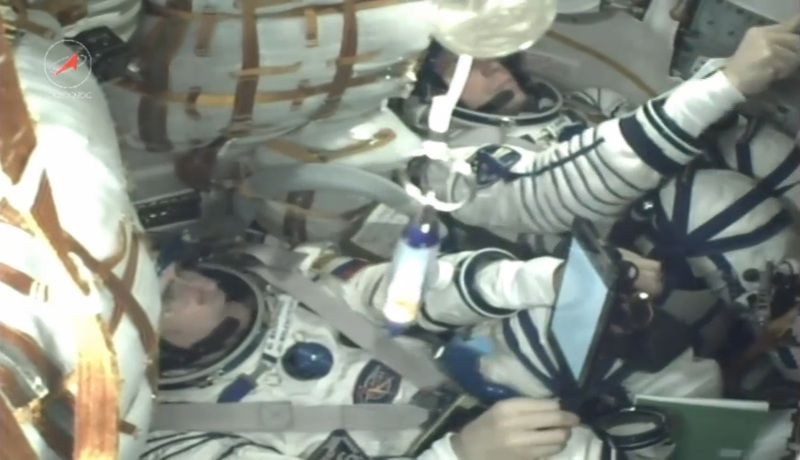 The crew worked through one hour of pre-launch setup steps before their countdown got relatively quiet, allowing launch control to play music via the comm loops to keep the three rocketeers entertained. 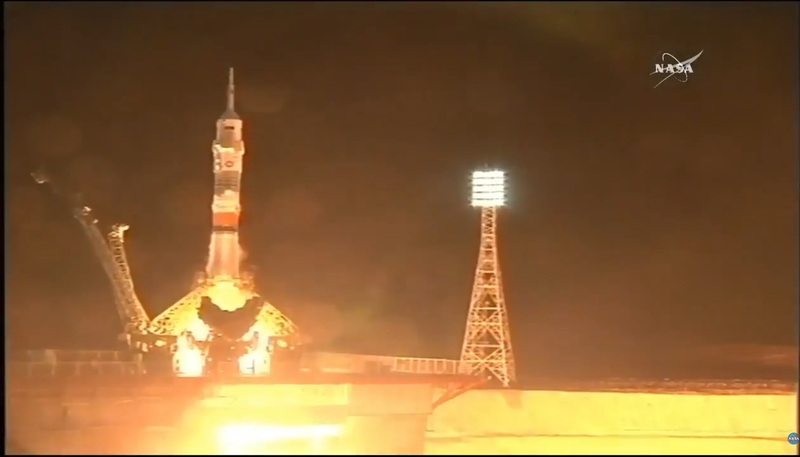 In the final hour of count, the Soyuz was revealed on its pad as the two halves of the Service Structure were lowered to clear the way for liftoff. A final reconfiguration of the Guidance System was performed by the launch team and Soyuz switched on its Launch Escape System while the crew closed their helmets and sorted their checklist for the thundering liftoff. In the last six minutes of the countdown, Soyuz went through an elaborate sequence to complete the final events ahead of liftoff – purging its engines with nitrogen to ensure a controlled ignition, pressurizing its propellant tanks, switching to internal power and control and separating the various umbilicals. Twenty seconds ahead of T-0, the launch command was issued and the hydrogen peroxide-powered engine turbopumps started spinning up. Flames erupted from the multi-chamber engines as the Soyuz thundered to life, reaching a liftoff thrust of 422 metric ton-force. 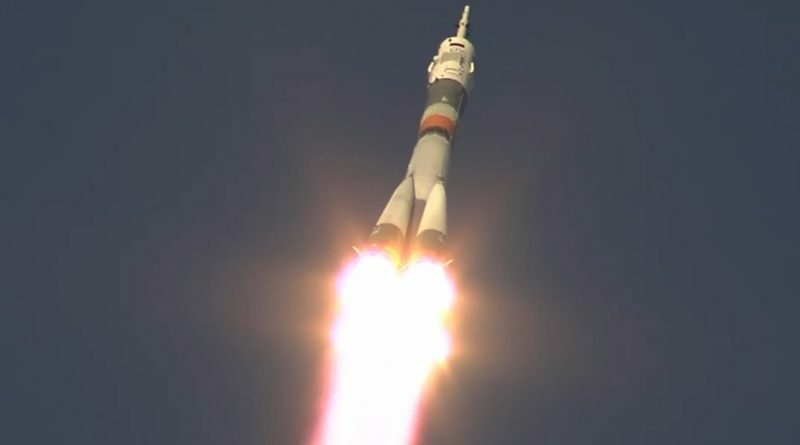 Soyuz blasted off at precisely 11:03:09 UTC, balancing on its boosters and core stage to climb vertically for a few seconds ahead of a pitch maneuver that aligned the rocket with its north-easterly departure path – following the International Space Station that passed overhead just minutes prior to launch. 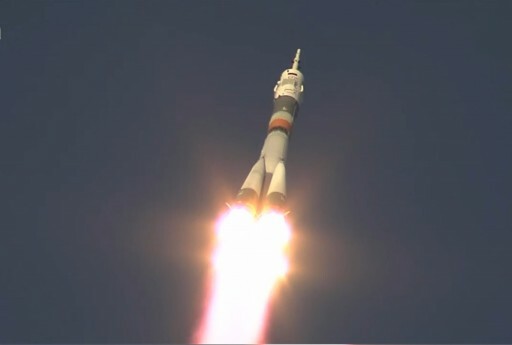 Beginning a high-speed pursuit of the International Space Station, Soyuz passed Maximum Dynamic Pressure 50 seconds after launch at an altitude of 10 Kilometers – its engines continuing to fire at full throttle, burning 1,600 Kilograms of propellants every second of the flight. Pushing through the speed of sound, the crew enjoyed a relatively smooth ride and even found the time to wave at the cameras inside the Entry Module. 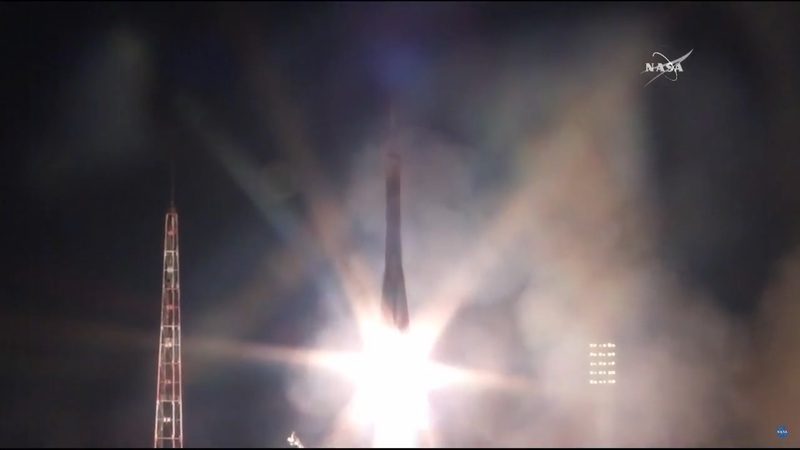 One Minute and 54 seconds into the flight, the Launch Escape Tower fired its Separation Motor and departed the Soyuz rocket as the mid-altitude abort mode became active in an architecture that provides launch abort capabilities from pre-launch all they way up to orbital insertion. The four boosters finished their job one minute and 58 seconds after liftoff when their RD-107A engines were shut down with separation split seconds later, making use of pyrotechnic separation devices and pistons that pushed the spent boosters outside – creating what is known as the Korolev Cross, named aptly after the father of the R7 design and visible for only a fraction of a second when the boosters swing outward with the still firing core stage in the center. 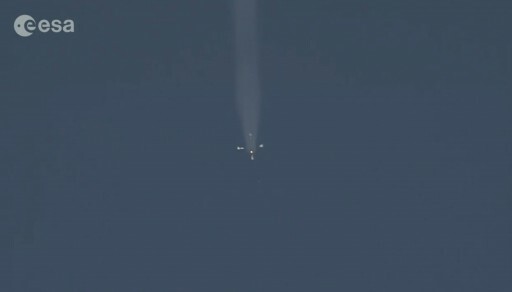 Separating 49 Kilometers in altitude, the four boosters were sent into a wild tumble back to Earth, impacting around 348 Kilometers from the launch site. Powered ascent continued on the Core Stage’s RD-108A engine alone that, when flying in the rarefied upper atmosphere, delivers 94 metric ton-force of thrust, guzzling down 317 Kilograms of propellants per second. Two minutes and 37 seconds into the flight, the two Tims got their first out-of-the-window view from 86 Kilometers up as the launch shroud separated from the rocket, revealing the Soyuz rocket for the rest of the journey into orbit. Approaching the end of the Core Stage burn, G forces climbed up to around 3Gs – not a problem for the three aviators making their way into orbit. Separation of the Core was one of the more dynamic events for the crew as they were catapulted forward four minutes and 45 seconds into their flight when the RD-108A engine shut down. Two seconds later, the crew was pushed back into their seats when the RD-0110 engine of the Block I third stage began firing followed split seconds later by the separation of the two stages, sending the Core towards re-entry and impact 1,570 Kilometers from the launch site. Now in control of the flight, the RD-0110 engine of the third stage burned 98kg of LOX and Kerosene per second to finish the heavy lifting, placing the Soyuz in a stable orbit after a burn of three minutes and 58 seconds. Burning at a thrust of 30,400 Kilogram-force, the third stage delivered a good performance, according to real time calls made from the launch bunker. Shutdown came at T+8 minutes and 45 seconds and was visible as the small zero-G indicator inside the Entry Module along with the crew’s checklists started floating. Delivered to orbit, the Soyuz – flying under the call sign ‘Agat’ – separated from the upper stage three seconds after engine shutdown. In a quick sequence of events, the spacecraft unfolded its two power-generating solar arrays, deployed the KURS navigation antennas, pressurized its propulsion system and initialized the KURS system for a quick test – all under the watchful eye of Soyuz commander Malenchenko and teams at Mission Control Moscow that assumed control at the moment of separation. The KURS test was passed successfully, clearing the mission for the fast rendezvous. 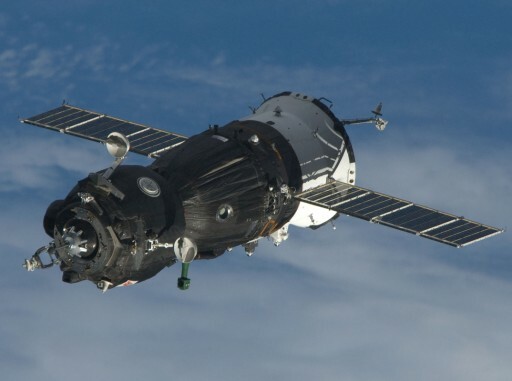 Ground stations kept tracking the Soyuz for six minutes after separation to get a precise fix on its orbital parameters, eagerly awaited by ballistics experts at Mission Control to calculate the flight profile to get Soyuz to its destination in space. Before the Soyuz exited ground station range, the crew received the GO from the ground to open their helmets and loosen their shoulder straps to get comfortable for the six-hour flight. They were instructed to perform their checklist for Orbit #1 as written, pressing into preparations of the SKD main propulsion system and Flight Control System for the first rendezvous burn taking place half an orbit after liftoff. Two rendezvous burns will be made on the first orbit of the mission using pre-programmed parameters to begin the process of raising the orbit of the Soyuz immediately, even without knowing the exact orbital parameters. Orbital tracking is performed after insertion and teams will calculate the orbit of the Soyuz after launch and after the two pre-set burns so that burns #3 and #4 on the second orbit can be modified to correct any insertion inaccuracies. When passing over Russian ground stations, the crew will tag up with the Mission Control Team and work through a series of checkouts to prepare the Soyuz spacecraft for its approach to the Space Station. 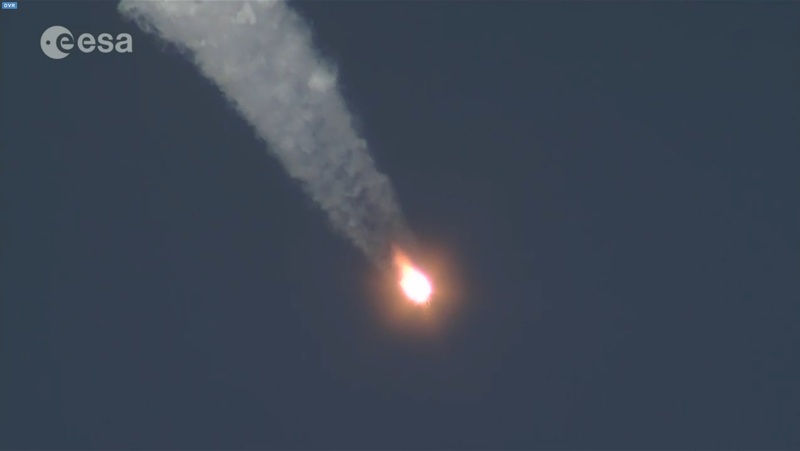 Placed into a 319 by 337-Kilometer orbit by its first four main engine burns, the Soyuz will initiate its Automated Rendezvous Sequence at 15:15 UTC to go through another set of maneuvers to enter a trajectory taking the craft to within 200 Kilometers of ISS where relative navigation and space-to-space communications can be initiated. 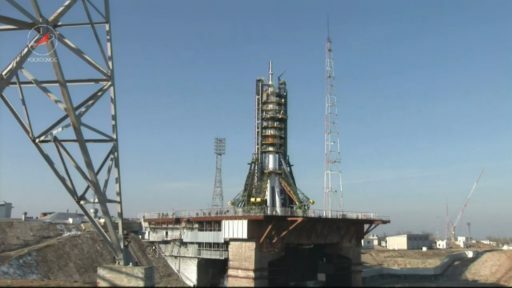 Processing navigation data from its KURS System, Soyuz TMA-19M will fire its engines again to close in on ISS, initially targeting a point one Kilometer from ISS before closing in on the orbiting outpost for a flyaround maneuver starting at a distance of 400 meters to get lined up with the Rassvet module. Coming to a halt 200 meters from Rassvet in good alignment, Soyuz will undergo one final check before being commanded to gently fire its thrusters and press in for the docking. Contact and capture is expected at 17:24 UTC to mark the arrival of Soyuz TMA-19M and three crew members for a seven-month mission to the International Space Station. After arriving at the Space Station, the crew will transfer their Soyuz to ISS power, switch to hard line communications and enter the hour-long leak check to confirm the redundant pressure seal of the spacecraft is air tight. Getting out of their Sokol launch and entry suits after over 11 hours, the crew will prepare for hatch opening set for 19:25 UTC. Being welcomed aboard by the resident crew members, Sergei Volkov, Scott Kelly and Mikhail Kornienko, the newly arrived crew members will participate in the traditional family conference and go through the usual safety briefings before they can get settled in aboard ISS after a long and eventful day.